Led by Southwark Council and BL Canada Quays Ltd, the Canada Water regeneration programme is delivering a vibrant new town centre for Rotherhithe in London Docklands. The flagship development though is surely the extraordinary new Canada Water Library, designed by CZWG Architects, a practice with a widely recognised reputation for bold and imaginative architecture. 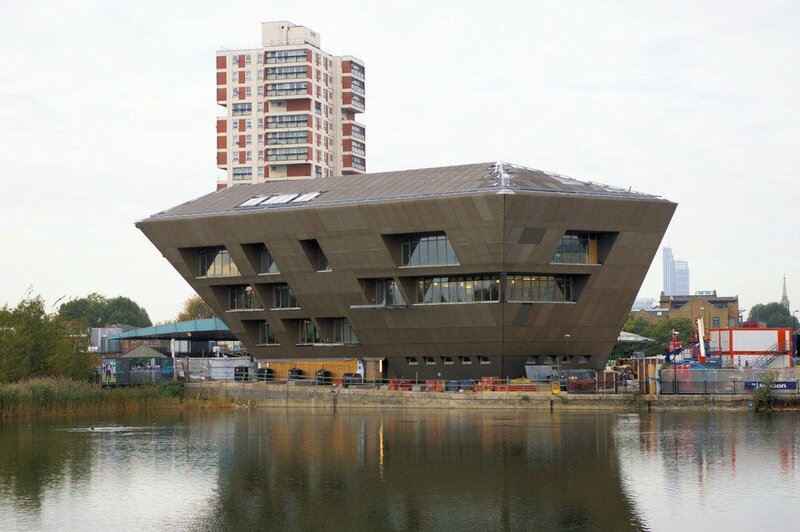 The building is a 3,165 sq m library, which partly overhangs the lake and in style resembles an inverted pyramid. 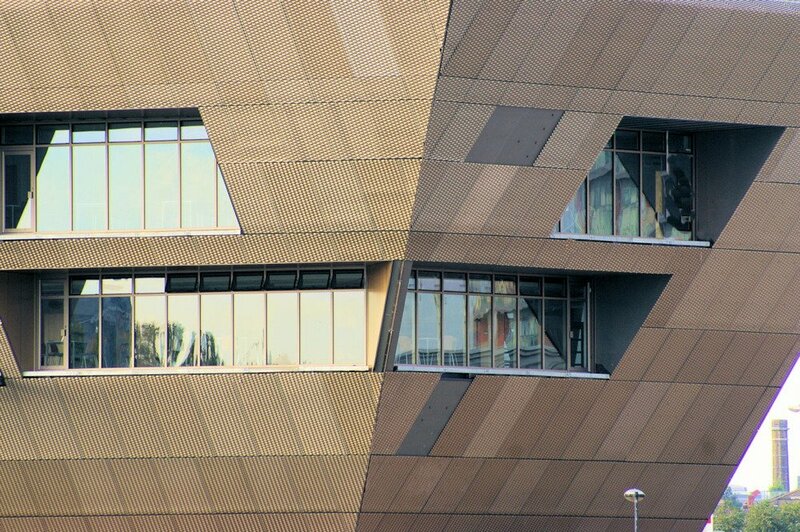 The four-storey £14m building is clad in aluminium sheets that are anodised in a light bronze with sequined perforations, giving it sculptural appeal and striking visual effects A dominant internal feature is a striking full height atrium, with a timber-lined central spiral staircase travelling up to the expanding shape above. Canada Water, being the only body of fresh water in Docklands, is something of a wildlife refuge and the new Library which nestles at one end of the lake, incorporates its own sustainable credentials; including a ground source heat pump, grey water harvesting and a green sedum roof. 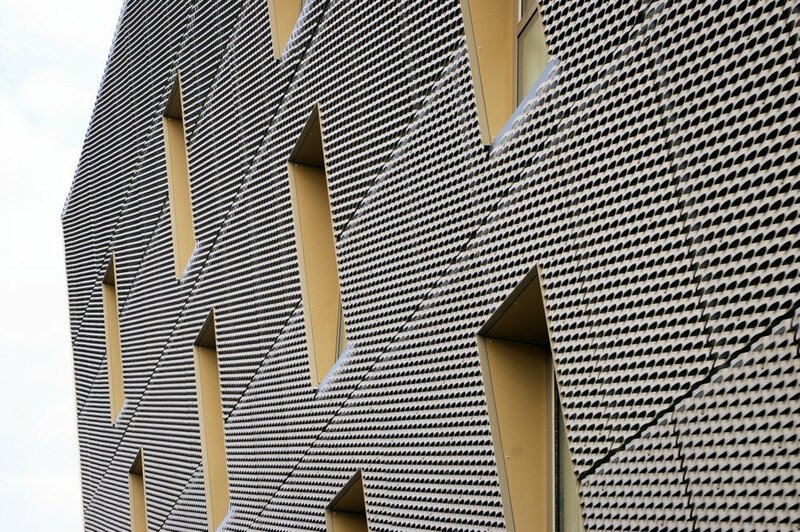 Thermal efficiency and energy saving construction are also key criteria, and to help optimise the sustainable nature of the building, the avoidance of thermal bridging is a major consideration. Thermal bridging does not just result in heat and energy loss, condensation and mould growth can occur as well, which may lead to potential health and respiratory problems. An efficient and widely used solution throughout Europe is the Isokorb® range of thermal break modules from Schöck Ltd, which offers outstanding thermal insulation properties and dramatically reduces thermal energy loss in connective areas. 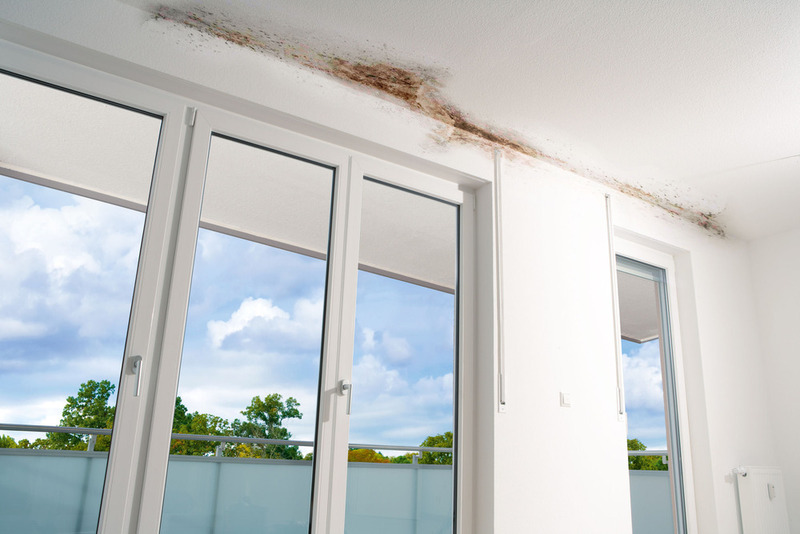 The range also transfers load and maintains full structural integrity, while at the same time enabling inner surface area temperatures to remain well in excess of those likely to cause mould formation and condensation. 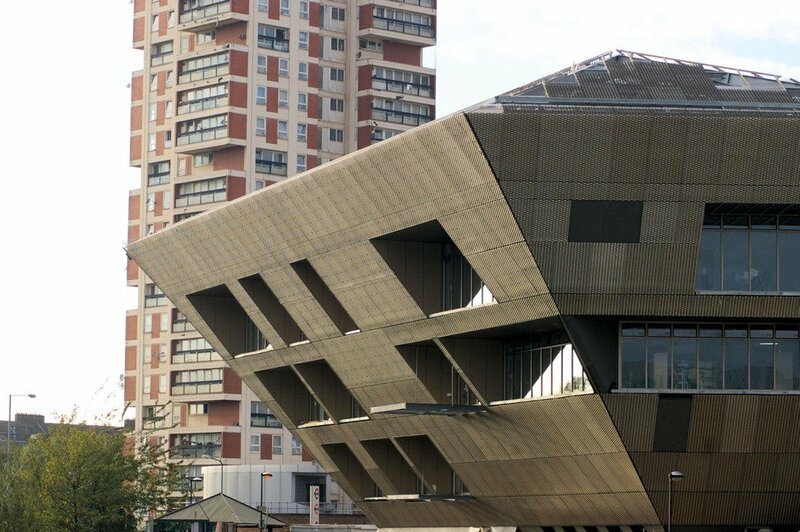 for connecting cantilevered steel components to reinforced concrete is the latest generation type KS14. It has around 20 percent more load-bearing capacity in the bending moment. Which means that even for conventional construction, the number of components required on site can be reduced, saving on expensive structural steel and valuable installation time. In addition to the higher load-bearing capacity, the insulation performance has also been improved. The thermal conductivity of the insulation body is now 0.031 W/(mK) from 0.035 W/(mK). This is due to the insulating element being made of Neopor® (a foamable EPS polystyrene material) with added graphite from BASF. Schöck Isokorb® modules offer designers and engineers complete peace of mind, as all units meet full compliance with the relevant UK building regulations. The requirement described in BRE IP1/06 – a document cited in Building Regulations Approved Documents Part L1 and L2 and Section 6 in Scotland – that the temperature factor used to indicate condensation risk (fRSI) must be greater than, or equal to, 0.50 for public buildings, is easily met by incorporating the Isokorb®. Quite apart from its exceptional thermal performance ratings, the Schöck Isokorb® range of modules allows connectivity between concrete-to-concrete, concrete-to-steel and steel-to-steel – and also provides BBA Certification and LABC Registration. There is also compliance with the Government Standard Assessment Procedure, SAP 2009, concerning CO2 emissions from buildings, and respectively heat losses through non-repeating thermal bridges. 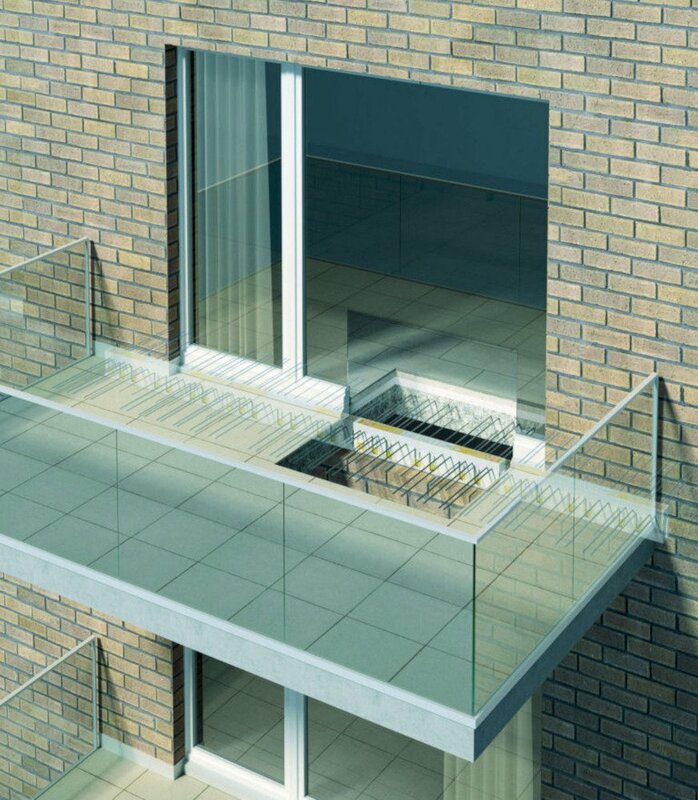 Here, the lambda values of the Schöck Isokorb® enables energy loss through balconies, canopies and other cantilever parts of buildings to be reduced by as much as 84% to 91%. A 20 page ‘Specifiers Handbook‘ is available which provides an overview and introduction to the Schöck Isokorb®., and there is a comprehensive 236 page ‘Technical Guide’ which displays in detail the complete range of thermal break applications for all construction types – concrete-to-concrete, concrete-to-steel, steel-to-steel and concrete-to-timber.